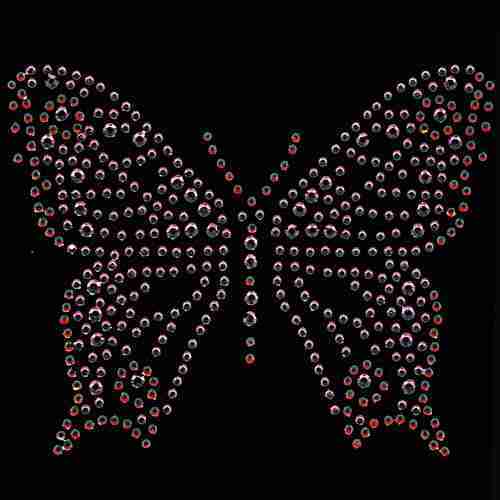 Butterfly is artfully rendered in an assortment of different sized rhinestones/rhinestuds. 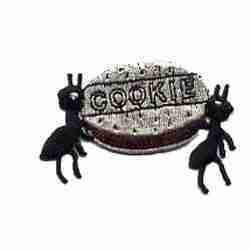 Sold separately, each measures 3-3/4″W X 3″H. 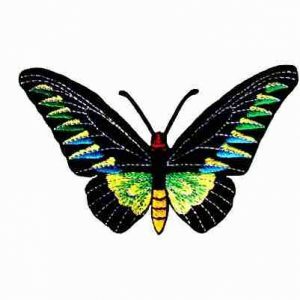 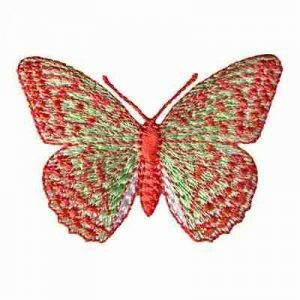 Butterflies – Green and Orange Iron On Butterfly Patch Applique – Only 1 Left! 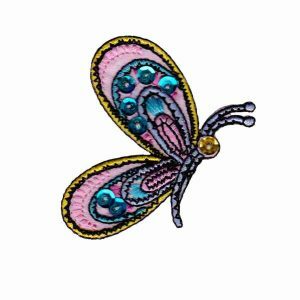 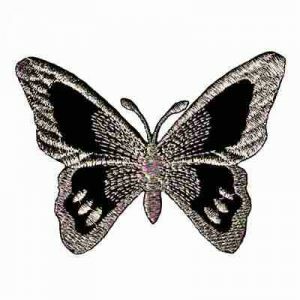 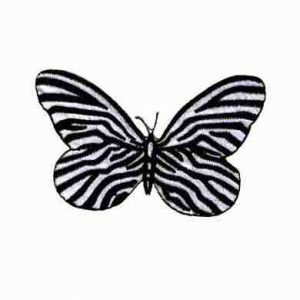 Butterflies – Black & Silver Iron On Embroidered Butterfly Patch Applique – Only 1 Left!